Do not underestimate the furniture for the patio area. Not because it was outside the house, you do not want to decorate it. Precisely because of being out of the house, patio area should be interesting and fun because not a few guests who want to talk on the patio area. Most people will be confusion in decorating the patio area because of its location. They can not be placed in a cupboard or a bar there. But do not lose your mind. We recommend you a furniture that will change your patio area to be attractive. 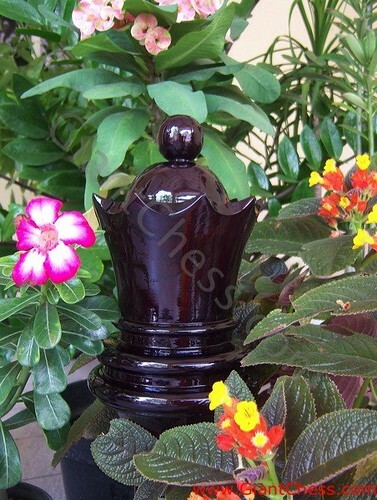 We have the giant chess piece that made of Teak wood and polished well in glossy black. This kind of giant chess is large enough for outdoor decoration, and fun also for school, home, parties, and other occasions! Kids love the large pieces.